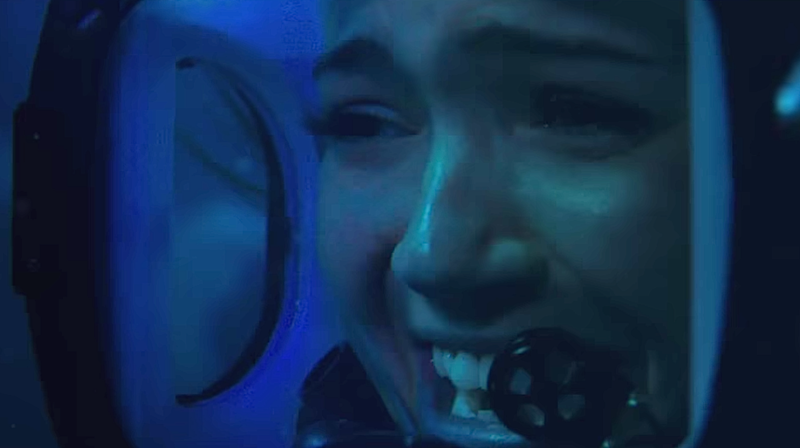 Tonight's nightmare is presented by the second trailer for Mandy Moore's "47 Meters Down"
Mandy Moore made us cry in This Is Us and now, she — along with The Originals‘ Claire Holt, and some great white sharks with serious bite — is here to terrify again with the second trailer for 47 Meters Down (in theaters June 16). This one jumps right into the thrills, showing Lisa (Moore) and Kate’s (Holt) diving adventure take a dangerous turn when a cage breaks from the line connecting it to the boat, subsequently sending them down to the ocean floor. The pair strategize to get back to safety — because, as the trailer tells us, “SURVIVAL…RUNS…DEEP” — but that looks to be a pretty difficult task, with predators hiding in the surrounding shadows. And ICYMI, here’s the first trailer, which spends a good amount of time with the pair having a super awesome vacation before heading deep into the sea, and the juxtaposition makes their predicament all the more horrifying.